The disciples of John the Baptist come to Jesus at John’s request in Luke 7:18-24 to make sure Jesus is the end of their search. Jesus sent them back to John with the report of those formerly blind, lame, sick, deaf, dead, and poor without the Gospel. When the messengers were on their way back to John, Jesus began a moving defense and commendation for John the Baptist to the people (vv. 24-28). When it comes to rejecting God’s purpose, I want to shine some light on the people’s response (vv. 29-30, NIV). There’s something powerful about how the Gospel reaches us when we know we are wrong…even after the initial salvation experience. The publicans (tax collectors) got in agreement fast, and acknowledged God’s justice in granting them a chance to repent and be baptized (See v. 29 in Amplified Bible). Publicans changed. But the ones with religious tenure — Pharisees and experts in the law — did not agree with Jesus’ discourse. 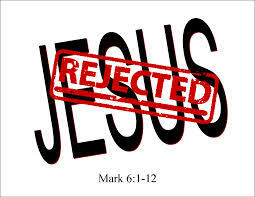 Their refusal to be baptized by John was their rejection of God’s purpose. They “refused the counsel of God against themselves” (v. 30 KJV). That’s the phrase that shook me to write. How many times has stubbornness, pride, resistance or refusal by any other title caused us to reject God’s counsel within ourselves? And, how has our refusal separated us from truly knowing God? Those of us with exposure to God’s Word, presence and power…have we become so resolute in our opinion in certain areas that we reject God’s purpose? His purpose, in this text, is repentance — turning over a new leaf, walking an opposite path, and changing our ways to His way. When do we reject personal change? Where and in what ways do we reject personal change? Royal Ones, let’s not let today’s culture of “speak your mind” and “follow your heart” provoke us to hold so tightly to our view that we are unyielding to God’s appeal to change. Moreover, let’s not be so taken by the vessel who brings the message (taken as in enamored and taken as in disgusted or distracted) that we refuse God’s purpose because we don’t like them. Let’s get beyond ourselves when it’s time to accept God’s purpose. We do not want to be our own worst enemies.